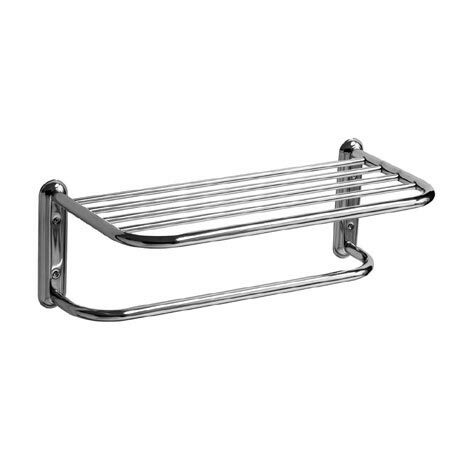 This functional towel shelf helps keep your bathroom organised and tidy and will add a nice contemporary touch. Manufactured from high quality steel tubing and finished in durable chrome plating. The top shelf is perfect for storing your dry towels, while the bottom rail is ideal for hanging wet towels to dry. Easy to install, this sturdy and compact towel shelf will make a great addition to any bathroom.